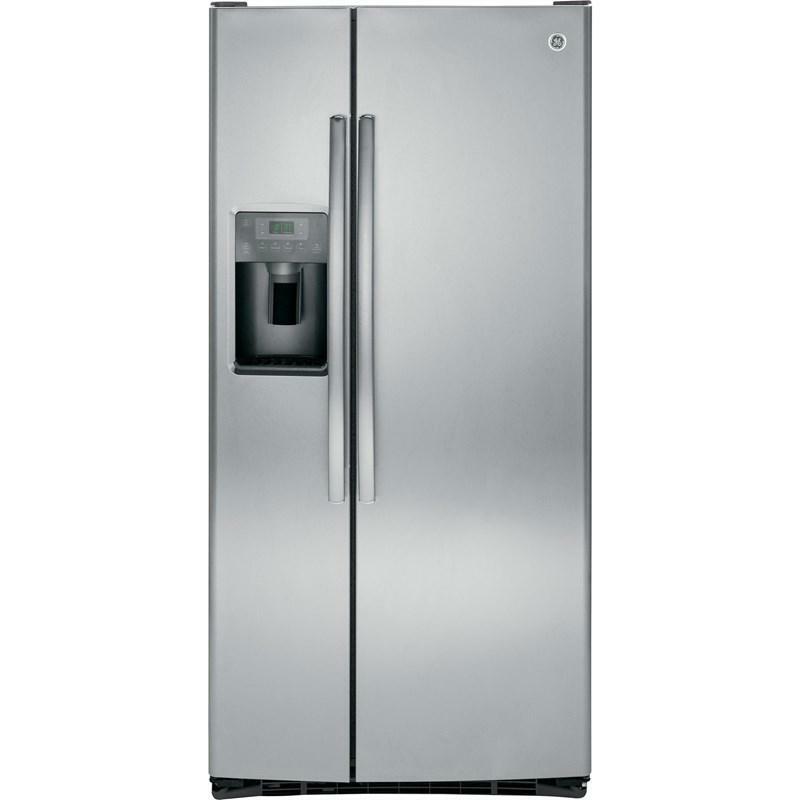 GE® 23.2 cu. 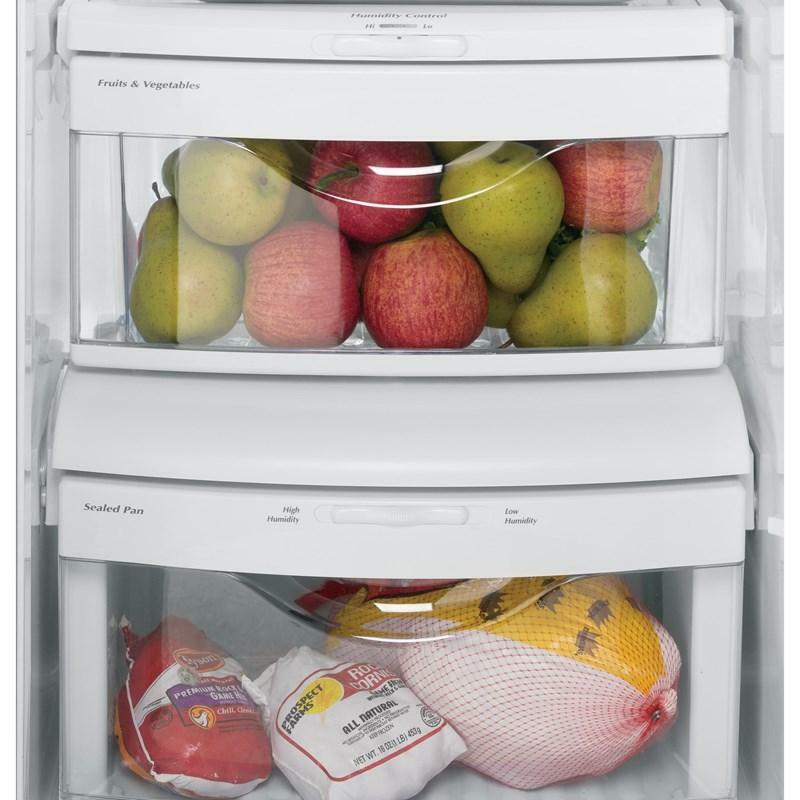 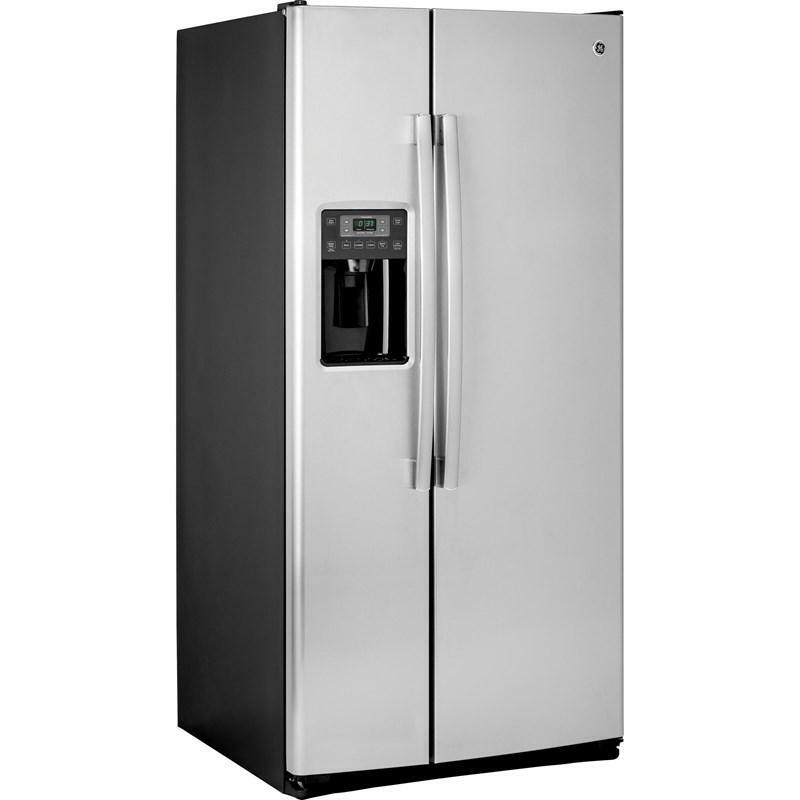 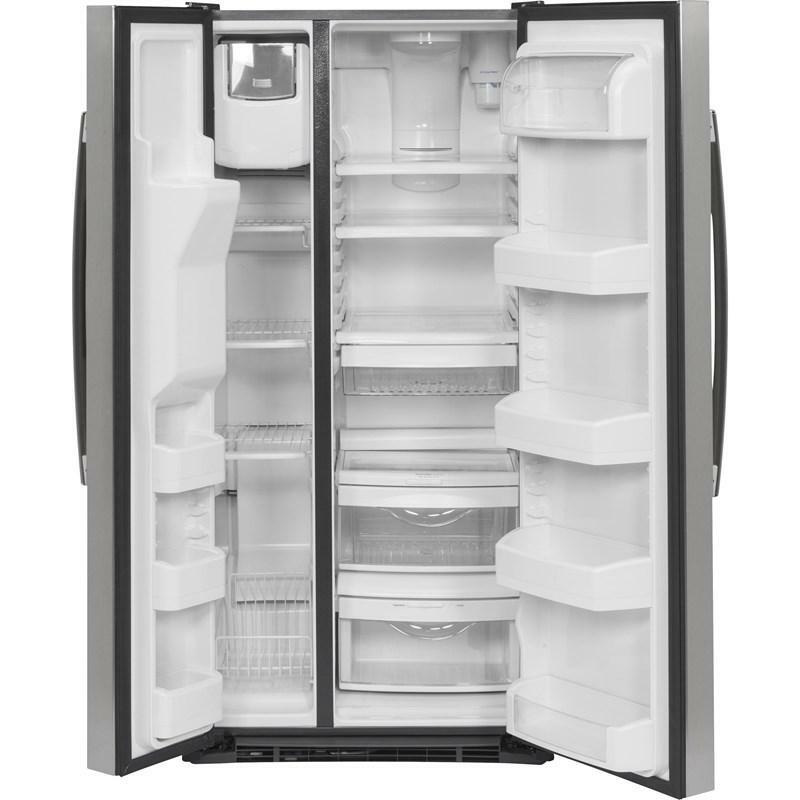 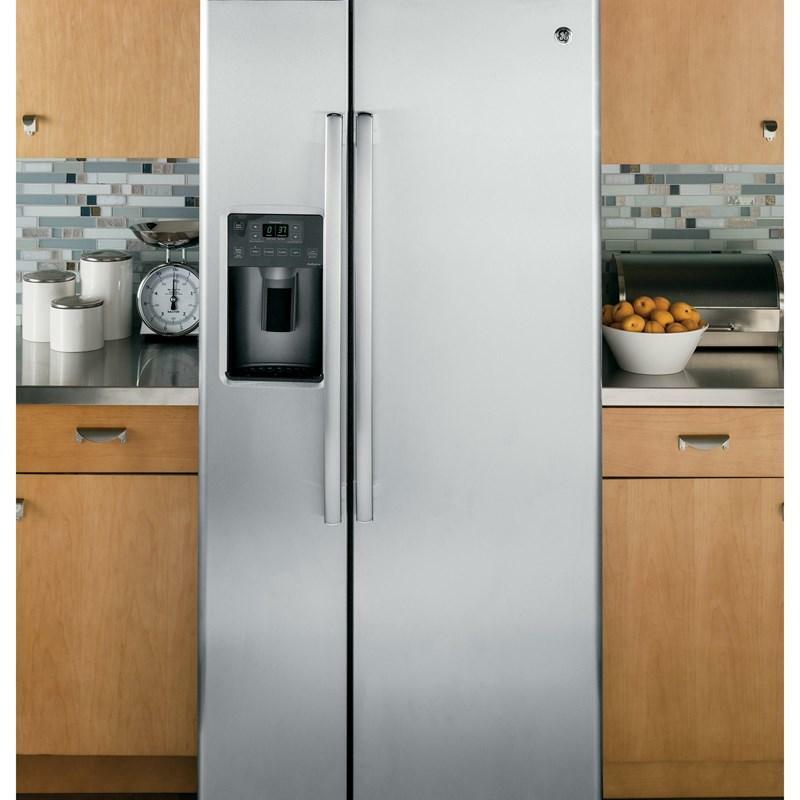 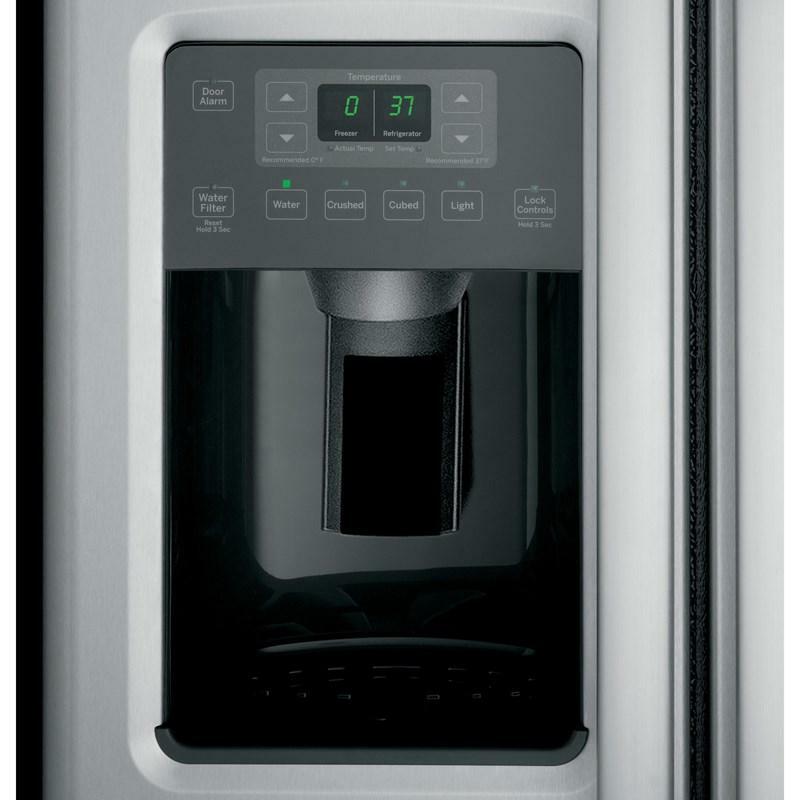 ft. side-by-side refrigerator equipped with an external water and ice dispensing system, featuring the Arctica icemaker and the advanced water filtration that uses MWF replacement filters. 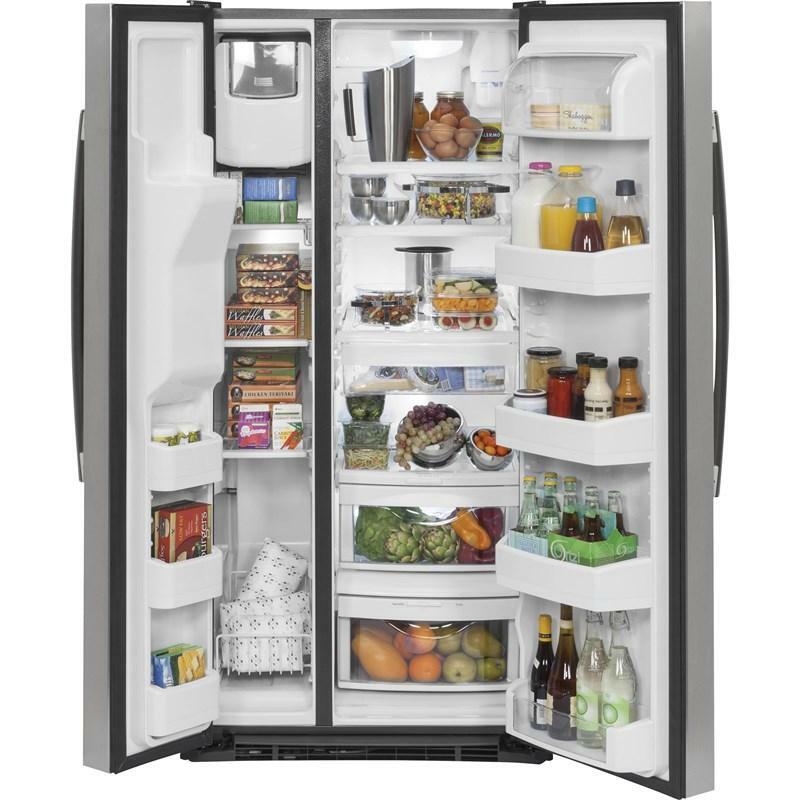 It also offers an integrated shelf support system, adjustable slide-out spill-proof shelves and fresh food multi-level drawers.